Aftermath was by far the longest book I’ve read this year…and not because of the page count, which is relatively short compared to other titles I’ve read this year. I’ll start off by saying the way this is written is the main issue, it’s a love it or leave it style (which is an odd choice for a series that transcends a single author…but whatever) and I’m definitely on the side of leave it. 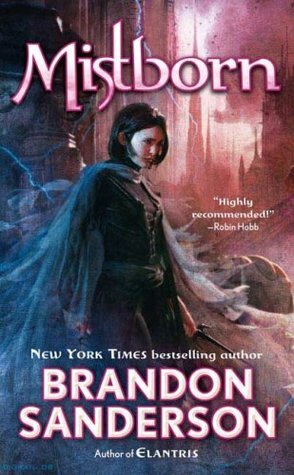 This isn’t a book where I can really talk about the characters because there are a ton…and while by the end of the book I knew who they were, when I was starting out it was like pure overload. Side characters get oddly detailed backstories and never really become important enough to warrant it or disappear after a chapter. And while I do know the characters, the style of writing doesn’t really delve into their personalities on personal level. It’s definitely a case of tell not show. They were an interesting cast though. Rae Sloane showed up in A New Dawn, and I really liked her so I’m glad to see here back in action and still as ambitious as ever. I also really loved the continuity with the Clone Wars tv show, where new characters have connections to those introduced then. Mister Bones is also a really popular character and I do think he’s pretty cool, considering where some of his programming comes from. The style of writing is very much a explanatory type style, where we are told what is happening and what everyone is thinking. It doesn’t focus on one character but more of the whole scene, like someone is telling you what a scene form a movie looks like in paraphrase. This drove me crazy, because I don’t really visualize like that. I have no idea what most of the characters look like, or what the places they visited were like. But the story-line is there, and there is a ton of interesting things going on. We do get to see what the galaxy is like after the fall of the Empire, and how it affects the even the smallest of people. The interludes were hit and miss, with some of them giving interesting glimpses at different lives and happenings but there were a few others that only served to slow the story done. One thing slightly maddening about the ‘Journey to the Force awakens’ line are the “clues” instead of just saying what’s going on there are lot of vague little details that leave you wondering who the hell the person is an if they are important. There is some level of enjoyment in it, but sometimes I just want answers not a ton of questions. Overall I can’t say I’m a fan of this one, and I’m sort of dismayed that of all the new books out this is the one that will have sequels. I will read them, and probably enjoy them a bit more since I know what to expect…but it was a real chore for me to make progress. If you’re curious about reading it, I urge you to go read the sampler on Amazon to get a feel for it before you make a decision. Image | This entry was posted in Book Reviews (2015) and tagged 2 stars, review, sci-fi. Bookmark the permalink. I’m going to skip this one probably. Your review mirrors a lot of things I’ve been hearing. Too bad really… I did see yesterday that there is a new book from Claudia Gray, the author of Lost Stars, coming in March. So she’s getting another shot at Star Wars. 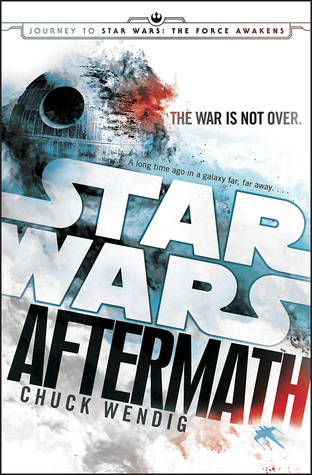 I was over at Star Wars 7 and so many of the comments were about Aftermath and how bad it was… kinda interesting.